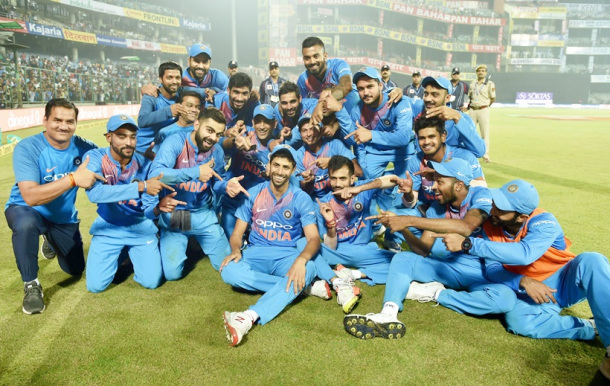 DieHard Cricket Fans: Farewell Nehraji! It wasn’t just another game. This one had context - the increasingly elusive factor in the modern sport!. 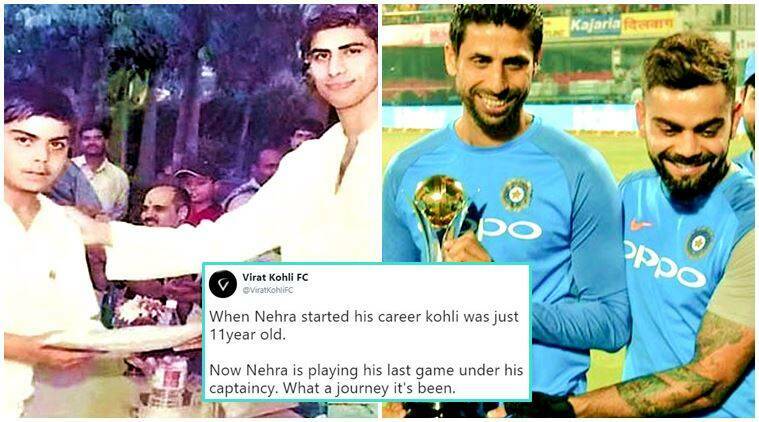 After all it was the farewell match for Ashish Nehra, more popularly known as Nehraji. He hasn’t had the greatest career of them. Over the course of his stop-start 18-year international career he missed more matches than he played (17 Tests in 18 years - thats a telling statistic!). Injuries being the prime reason for keeping him away especially from the longest format. His career was in phases. A sudden start with a one-off Test appearance. Followed by becoming a regular for a few years in both formats. Then a gap, followed by a regular limited overs spot. And then when it seemed all over, a T20 international career at the very fag end! The returns may not have been outstanding but they were rewarding. A World Cup Winners and runners-up medals. Not many players can lay claim to that! And he got a grand farewell at his home ground – something which has eluded many a cricketing great in India! After a long career, bowling your last over from an end named after you (albeit temporarily) cheered on by tens of thousands of spectators and then carried for a lap of honour by your team-mates! Endings don’t come more fairy-tailish than this! So what memories of Nehraji will be retained! That awkward action! How did it keep going on for so long! That spell vs England in Durban in the 2003 World Cup! Swinging the ball like a banana and then puking a banana on the ground. The best swing bowling display ever by an Indian bowling combo! The now infamous video of abusing a newbie Dhoni for not going for Afridi’s catch. A very justified reaction! That picture with a very young Virat Kohli, who would later on go on to captain him in his last game! The circle of life. There was a time when Nehraji was out of the national squad but playing in Ranji. I recall Cricinfo having a dedicated Ashish Nehra section in the regular roundup! Nonchalantly hitting the ball away in the air when he is the last man on crease with a single required to win against New Zealand! Those comical fielding attempts! Missing the 2011 World Cup Final due to an injury suffered while attempting to take a diving catch in the semi-finals against Pakistan! The frank interviews especially in the last stages of his career! That endearing revelation that in today's time, he still did not use a smartphone! 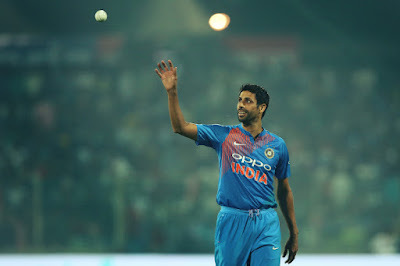 Nehraji, may you give you body some peace now. He certainly wasn't the greatest (ignore all the sentimentalist feelings after the retirement), but he certainly was an entertainer! Thanks for all the wonderful memories.